1. If there ever comes a day when we can’t be together, keep me in your heart, I’ll stay there forever. 2. Piglet: How do you spell love? 3. If you live to be a hundred, I want to live to be a hundred minus one day so I never have to live without you. Excerpt from Wikipedia: Winnie-the-Pooh, commonly shortened to Pooh Bear or simply Pooh, and once referred to as Edward Bear, is a fictional bear created by A. A. Milne. The first collection of stories about the character was the book Winnie-the-Pooh (Pooh Original Edition, Reprinted Oct 1988) (1926), and this was followed by The House at Pooh Corner (Pooh Original Edition, Reprinted Oct 1988) (1928). Milne also included a poem about the bear in the children’s verse book When We Were Very Young (Pooh Original Edition, Reprinted Oct 1988) (1924) and many more in Now We Are Six (Pooh Original Edition, Reprinted Oct 1988) (1927). All four volumes were illustrated by E. H. Shepard. 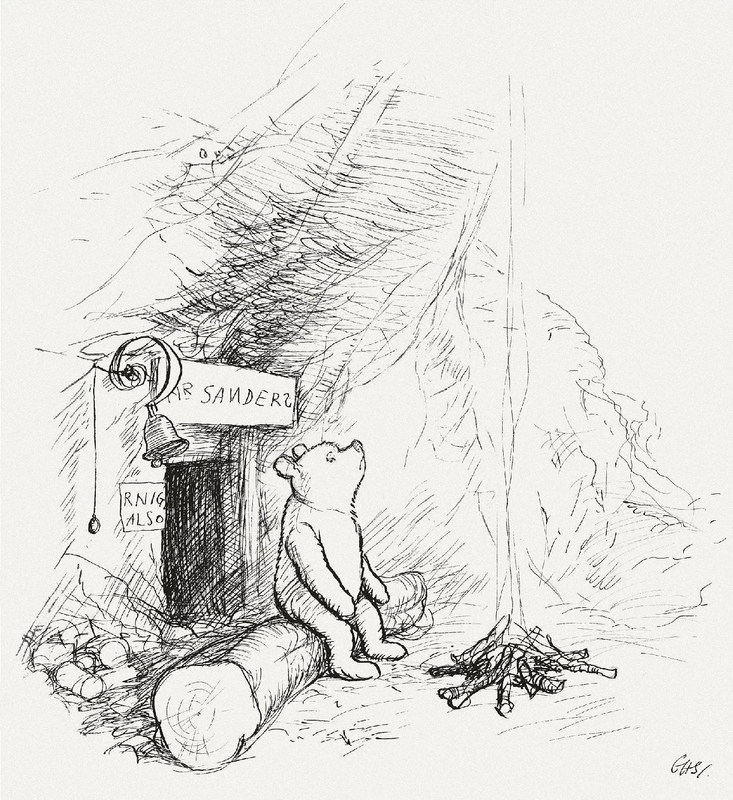 The Pooh stories have been translated into many languages, notably including Alexander Lenard’s Latin translation, Winnie ille Pu, which was first published in 1958, and, in 1960, became the only Latin book ever to have been featured on the New York Times Best Seller List. 1. If ever there is tomorrow when we’re not together.. there is something you must always remember. you are braver than you believe, stronger than you seem, and smarter than you think. but the most important thing is, even if we’re apart.. I’ll always be with you. 3. You can’t stay in your corner of the Forest waiting for others to come to you. You have to go to them sometimes. 4. Promise me you’ll never forget me because if I thought you would I’d never leave. 5. If the person you are talking to doesn’t appear to be listening, be patient. It may simply be that he has a small piece of fluff in his ear. 6. You can’t help respecting anybody who can spell TUESDAY, even if he doesn’t spell it right; but spelling isn’t everything. There are days when spelling Tuesday simply doesn’t count. 7. A little Consideration, a little Thought for Others, makes all the difference. 8. Before beginning a Hunt, it is wise to ask someone what you are looking for before you begin looking for it. 9. The hardest part is what to leave behind, … It’s time to let go! 11. Piglet sidled up to Pooh from behind. “Pooh?” he whispered. 12. We’ll be Friends Forever, won’t we, Pooh?’ asked Piglet. Even longer,’ Pooh answered. 13. How lucky I am to have something that makes saying goodbye so hard. 14. Some people care too much. I think it’s called love. 15. I think we dream so we don’t have to be apart for so long. If we’re in each other’s dreams, we can be together all the time. 16. Rivers know this: there is no hurry. We shall get there some day. 18. The things that make me different are the things that make me. 19. Piglet noticed that even though he had a very small heart, it could hold a rather large amount of Gratitude. 20. Pay attention to where you are going because without meaning you might get nowhere. 21. Yesterday is history, tomorrow is a mystery, but today is a gift. That’s why we call it the present. 22. Some people talk to animals. Not many listen though. That’s the problem.